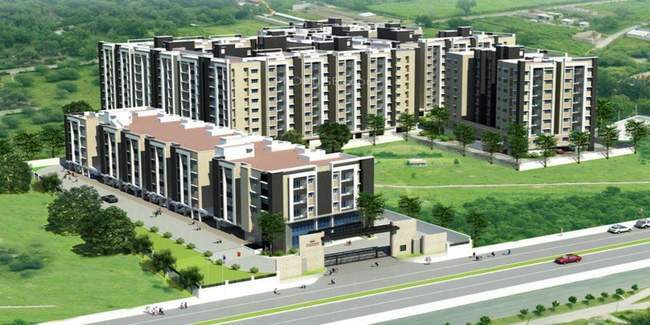 Details: The project is coming up at Medavakkam, Chennai South. It offers 8 towers of G+4 floors, having 379 units of 2 and 3 BHK apartments. The area range include from 556 to 1233 Sq.ft. Apart from the basic amenities, the project offers Gym, Swimming pool, Reflexology Park, Open space, Video security, Paved compound, Children's play area, Club house, Sewage treatment plant, Landscape Garden, Badminton court, Swimming pool, Basket ball court, etc. Chennai - 600006, Tamil Nadu.